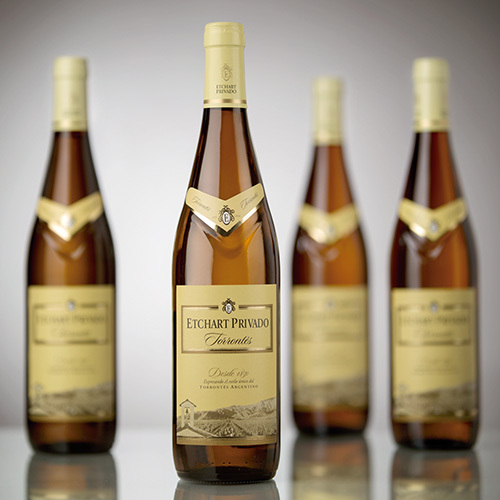 Launched onto the market in 1963, it was the first Torrontés variety in history going on sale bottled. It has become Salta´s icon ever since, for having genuinely achieved this autochthonous grape variety´s highest expression. With its great experience in the Argentinean market, it is still the indisputable leader in its segment and one of the wines with the highest loyalty rate among consumers, which feel a strong connection with this line that has always been part of the family table. Today, fifty years after its launch onto the market, Etchart Privado is a brand that still grows steadily in the market. However, there is something that is even more important: it is the synonym of Torrontés, the only 100% Argentinean variety. 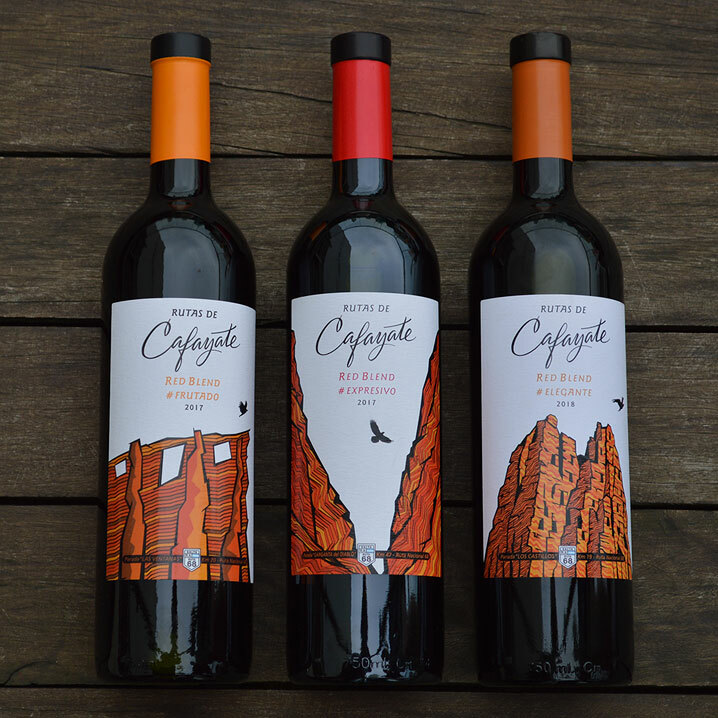 This line reflects the purest expression of the Calchaquí terroir through varieties that invites wine lovers to discover the Cafayate´s identity: its aromas, flavors and the touches provided to each grape variety. It is a series of young and easy to drink wines that offers the typical characteristics of each grape and the unique and distinguishable character of the valley that gives its name to its varieties Cabernet Sauvignon, Malbec, Syrah, Torrontés, Chardonnay, Torrontés Tardío and Rosé. 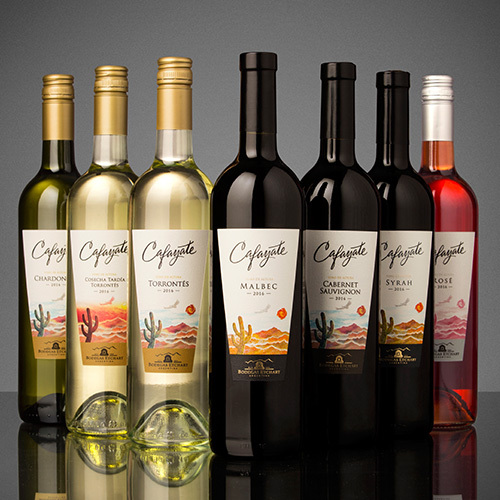 These are genuine, fruity and expressive wines, with the Cafayatean terroir´s signature. 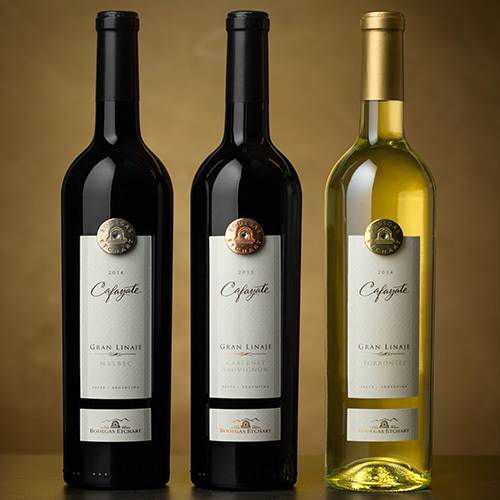 Since 2009, the Cafayate Reserve line has been seducing wine lovers with premium, balanced and distinguished wines as a result of vineyards implanted over 1,750 meters above the sea level. 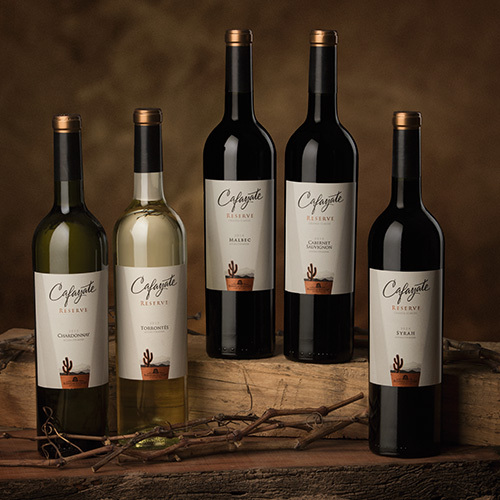 The red varieties, Cabernet Sauvignon, Malbec and Syrah, are the accurate reflection of the Cafayatean terroir: they are intense, strong and mature. The whites, Chardonnay and Torrontés, stand out for their great aromatic complexity, structure and body while still being soft and velvety; these are high lineage wines. Based in a philosophy that favors balance and elegance, alongside with the wood´s contribution, this range of varieties is the true representative of the Cafayatean terroir. The line of top-quality varietals of Bodegas Etchart combines a careful selection of vineyards and oak barrels with the expertise gained after 160 years making complex and sophisticated wines. Sauvignon, Torrontés and the sweet wine Torrontés Tardío. Both reds were aged for 10 months in French oak barrels and have a slight contribution of Tannat and Bonarda, what provides them with character and intensity in the mouth and nose. For their part, whites are made using the best plots of Cafayatean terroir. These are serious wines with volume, elegance and complexity. 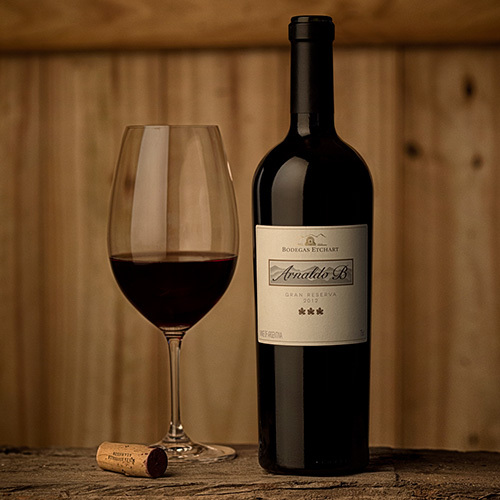 Launched in 1990, Arnaldo B. is the icon wine of Bodegas Etchart that was born as a tribute to the founder of the winery, created using the best grapes of Cafayate. Made with Malbec (60%) and Cabernet (30%) as base varieties, the remaining 10% of the blend varies year after year, depending on the harvest of Tannat, Syrah, Bonarda, Ancellotta and Petit Verdot grape varieties. Elegant, complex and structured, this great blend is a wine that is at the level of Arnaldo Benito Etchart: a hero of the Argentine winemaking. Throughout Bodegas Etchart’s centennial history, our obsession with always providing the best quality was reflected in each of the lines and, to this day, it is one of the pillars in the philosophy that distinguishes our establishment around the world. However, it is always important for quality to be legitimized and supported by international critics, specialized journalists, sommeliers and tasting panels in renowned competitions. For the past three decades, when wine competitions boomed, our wines began to reap awards all over the world. As of today, our lines have won over 500 awards, a fact that turns us into one of the most awarded wineries in Argentina.